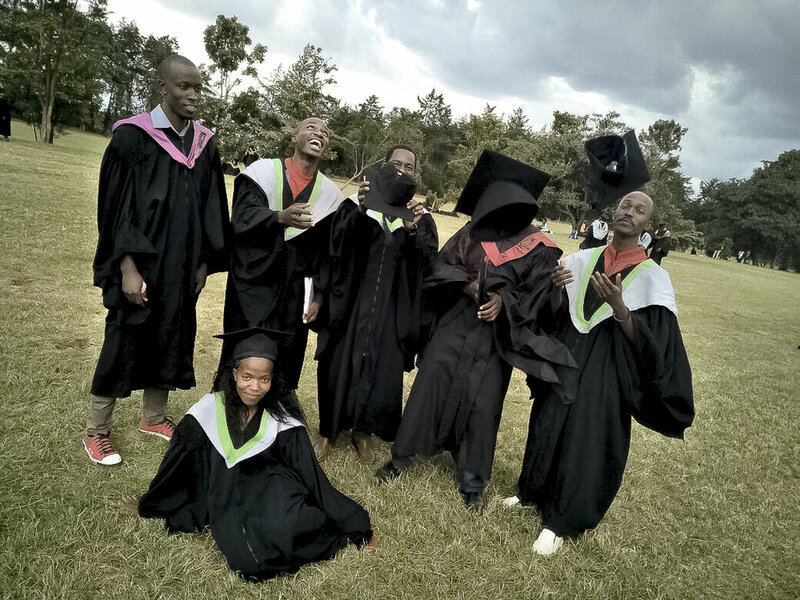 Against all the odds, Laban graduated early this month with a Bachelors Science degree in Agribusiness Management from Egerton University. He worked hard to earn the degree, and we couldn’t be happier for him and his family. As an organization, we are grateful to God for the opportunity to bring hope to Laban and thus change the life of one more orphan. I want to thank all our supporters because, without your financial and prayers, there would be no Laban today. You indeed give our orphans and vulnerable children under our care hope for which we will never be able to thank you enough. The good news is that through our newly launched Alumni Fund, Tumaini is poised to educate others like Laban who qualify to attend college. And for those who do not qualify to join universities, we will provide self-employment through Community-Based Organizations (CBOs). Thank you to those who have responded generously and given to this critically important fund. However, we have not yet met our goal of $20,000. If you are able, I am asking you to consider sending in your donation TODAY. Remember no contribution is too small, every little bit helps. As we close the year, I want to thank you for your amazing love and support for this work. I pray that you will have a blessed 2018.